Die-hard runners withstand a lot of obstacles to maintain their daily runs, including traffic, animals, difficult terrain and shin splints to name a few. But one obstacle that die-hards pride themselves on is running in any weather condition – rain, cold, wind and heat. Some runners discuss overcoming these obstacles as a testament to their mental toughness. 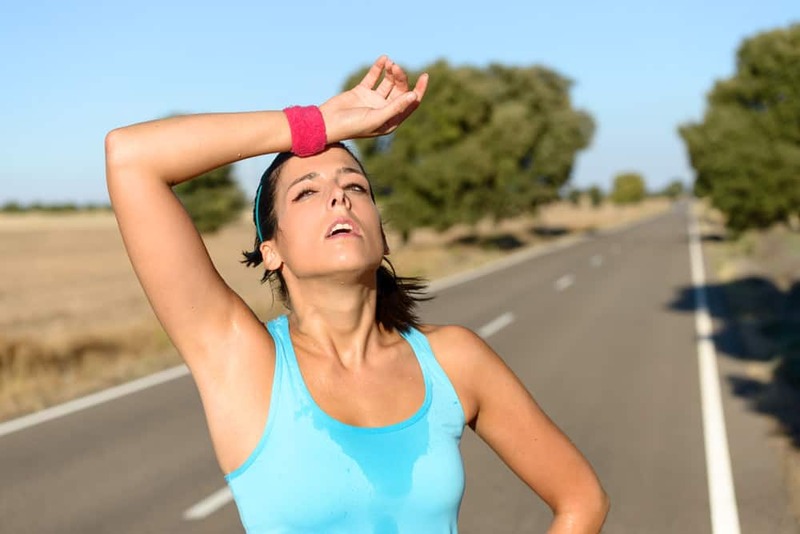 Running in hot weather is probably one of the biggest obstacles for any runner, because if not done properly, it can lead to health problems and a trip to the hospital, or worse. Overcast and 45-degree weather might not be the sort of day most folks dream about, but it doesn’t get much better than that for an outdoor run. Muscle spasms that are caused by large fluid and electrolyte losses from sweating. 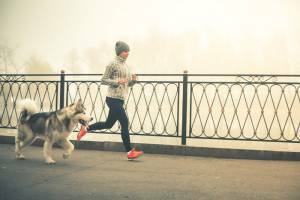 They can occur while exercising but also hours after your run. No need to worry, they’re not serious – but make sure you stay hydrated and get enough electrolytes with sports drinks or fruit like bananas. We’re all familiar with dehydration. Up to a 4% loss in fluid levels from exercise is still safe, but any more than that and you may experience dizziness, fatigue, and even mental disorientation. If you work out too hard in the heat, you may come down with heat exhaustion – a case of dehydration, headache, nausea, and a core body temperature of up to 104 degrees. It’s much more common in runners who aren’t adapted to the heat. Danger! Heat stroke is very serious since your core body temperature is probably over 105 degrees. Symptoms include disorientation with clumsiness, confusion, poor balance, and a lack of sweating. Immediate medical attention is required where you’ll be cooled with a cold bath, air conditioning, and cold liquids. If the above warnings from StrengthRunning.com don’t scare you, then follow the below tips to give yourself a fighting chance to complete the run. Run in the early morning or late at night, especially in the summer months, to avoid the heat of the day. Don’t do long or higher intensity workouts during the heat of the day. If you must run at midday, pick routes with shade. As a general rule, start your workout slower than you usually do. If you’re feeling good halfway through, it’s okay to speed up a little bit. Wear apparel that’s light in color, lightweight, and has vents or mesh. Microfiber polyesters and cotton blends are good fabric choices. Also, be sure to wear a hat, shades, and sunscreen with an SPF of 30 or higher. Alcohol, antihistamines, and antidepressants can all have a dehydrating effect. Using them just before a run can make you have to urinate, compounding your risk of dehydration. Top off your fluid stores with 16 ounces of a sports drink or water an hour before you head out. Then toss down five to eight ounces of a sports drink about every 20 minutes while working out. Sports drinks beat water because they contain electrolytes, which increase your water absorption rate, replace the electrolytes you lose in sweat, and they taste good which makes it easier to drink more. Give yourself 8 to 14 days to acclimate to hot weather, gradually increasing the length and intensity of your training. In that time, your body will learn to decrease your heart rate, decrease your core body temperature, and increase your sweat rate. It’s always hotter in cities than in surrounding areas because asphalt and concrete retain heat. If you must run in an urban or even a suburban area, look for shade. Any park will do and try to go in the early morning or late evening. If possible, start your run going with the wind and then run back with a headwind. Running into the wind has a cooling effect, and you’ll need that in the second half of a run. Every 5°F rise in temperature above 60°F can slow your pace by as much as 20 to 30 seconds per mile. So don’t fight it – just slow down. The idea is that ice increases your core temperature capacity, cooling you down so you have more time before you would reach a dangerous internal temperature. In hot weather consider some safer options, including running on an indoor track, running on a treadmill or pool-running. 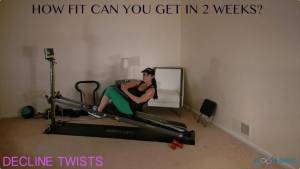 Or try some other stamina testing activity like rowing on a row machine. Consistency and stamina are admirable runner attributes, but be safe out there.